I don’t have much to say about this book. It’s historical fiction, pulling in all sorts of figures recognizable from both fiction and real life. 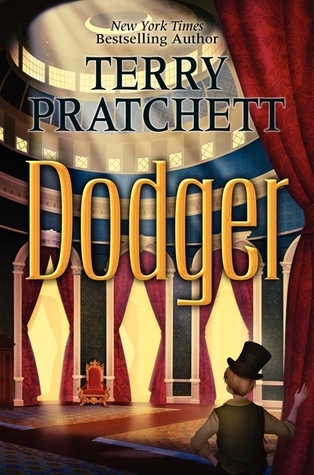 Dodger – the narrator – encounters Charles Dickens, Sweeney Todd, Queen Victoria, and others I’m sure I just didn’t pick up on. There are all sorts of references to Dickens getting story ideas from Dodger, including the title for Bleak House. It was a fun romp of a book, an enjoyable audio performance by Stephen Briggs. It also wasn’t particularly life changing. Just fun, which is probably why I don’t have much to say. Nevertheless, fun, and it made Pratchett less intimidating to me. One of these days, I might just get around to the Discworld books. This entry was posted in 2015, Prose, Young Adult and tagged audio, dream-invader, historical, humor, mini-review, revisiting. Bookmark the permalink.